Such blush as dreams are made on! 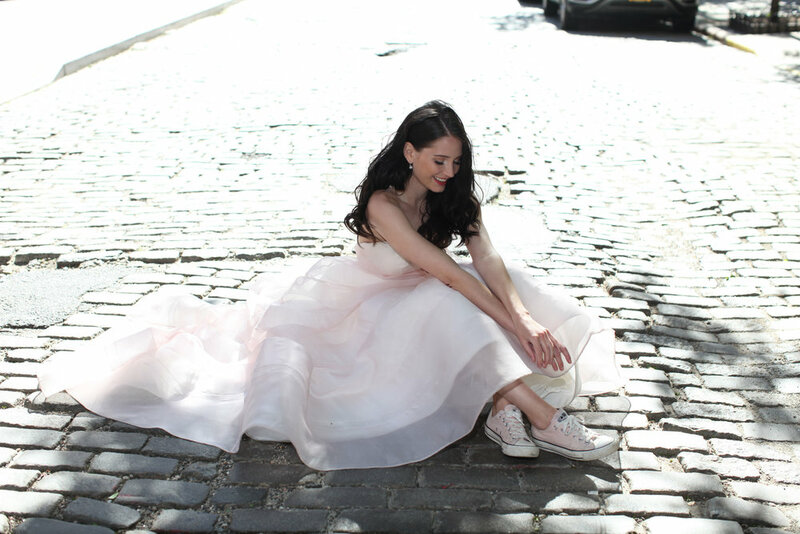 Juno takes the classic ball gown silhouette and gives it a chic, modern spin. 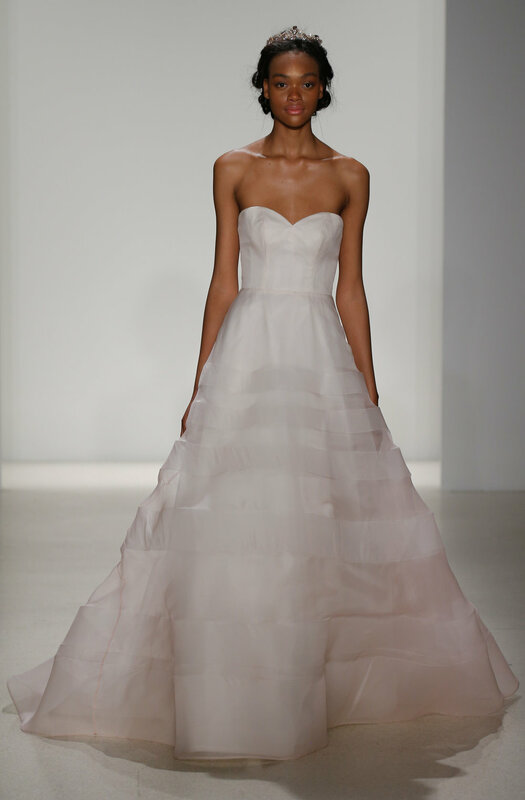 Her layers of barely blush silk organza are as romantic as the sun peeking through the clouds at sunset. Horizontal bands of horsehair on the skirt gradually grow wider as you move from the waist to the hemline and float on top of the gown’s sheer, matte silk organza to give the soft appearance of wispy stripes. Juno’s eye-catching silhouette starts with a clean, crisp bodice that emphasizes the shape of the waist and frames the torso. The simple lines of the bodice accentuate the voluminous skirt, which is light as a feather so you can twirl the night away. Last but certainly not least, Juno’s cathedral-length train means beauty will trail you throughout your wedding day. Not a fan of blush? Don’t worry. Juno is available — and just as stunning — in all ivory.